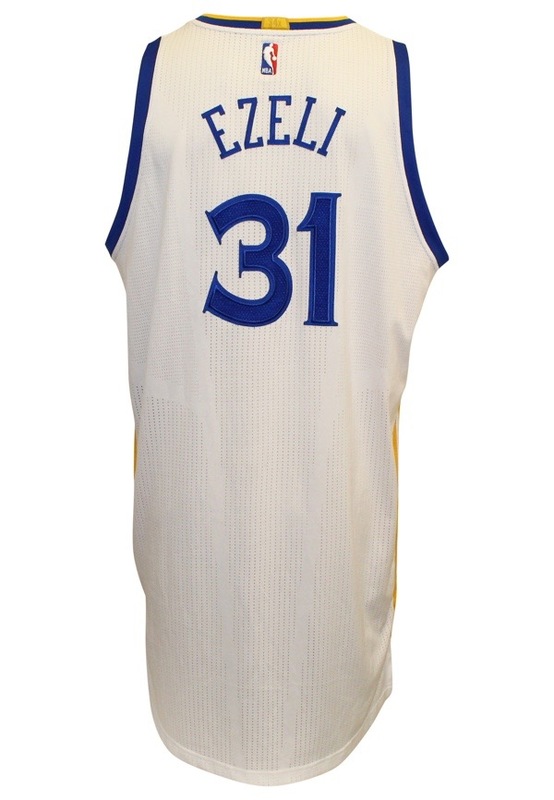 This jersey was worn by Golden State Warriors forward Festus Ezeli during Game One of the 2016 Western Conference First Round of playoffs against the Houston Rockets. Ezeli recorded 8 points and 6 rebounds in the 104-78 victory. On the front left tail is the Adidas “CLIMACOOL” manufacturer’s tag size “3XL” with a hanging flag tag to the right that reads, “LENGTH +4””. Handwritten in black ink on this tag is “4/16/16”. 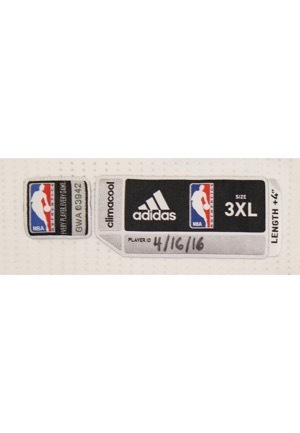 Adjacent to the manufacturer’s tag is a “NBA AUTHENTICS” tag serial number “GWA03942”. On the left inseam is a tag with jersey materials and washing instructions and an additional Adidas tag. 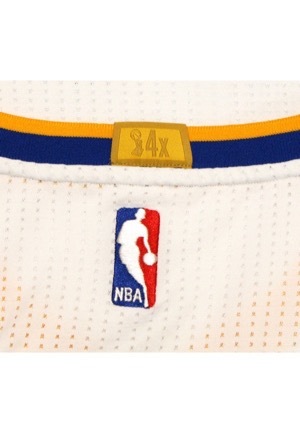 In the rear collar is a gold tag with the Larry O’Brien Trophy and “4x” visible on the front and back. Attached to the rear collar is a flag tag reading “MADE IN THAILAND 3XL4”. 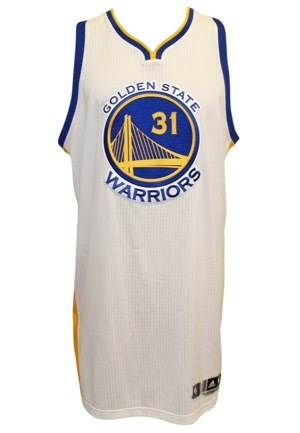 Across the chest reads, “GOLDEN STATE WARRIORS” on the Warriors Royal Blue and California Golden Yellow roundel with the number “31” sewn on top. On the back below the collar is the official “NBA” logo embroidered. Across the back reads, “EZELI” done in blue tackle twill. Below is the player number, “31” done in blue mesh on navy blue tackle twill. This jersey is properly tagged, was presented to us as game-used and in our opinion shows appropriate use. Accompanied by a NBA LOA.